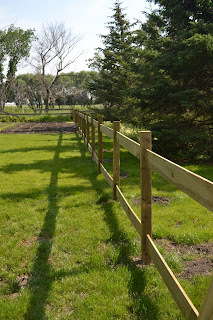 diary of a crazy person: New Fence! Eric has worked hard this summer so far! A new house with a HUGE yard brings lots of yard work, and a couple projects. Eric pretty much built this fence on his own. His dad helped dig the holes for the posts, and a couple friends helped one evening to put up panels. 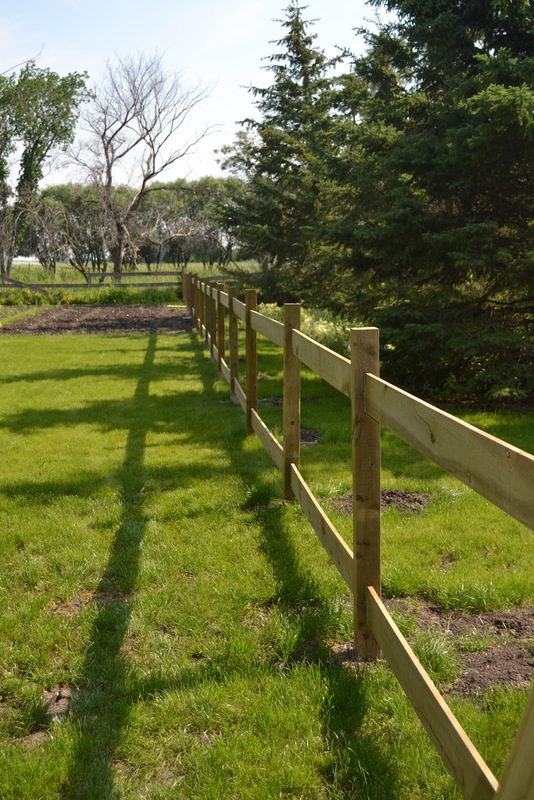 But Eric worked for hours and hours in the hot sun to build this fence for my Chihuahuas. It turned out perfect. He did such a fantastic job. I still need to get a picture of it all finished.